Avocados contain more potassium than bananas, are high in vitamin A, and are the richest fruit source of Beta-sitosterol, a compound that interferes with cholesterol absorption, as well as Glutathione, which functions as an antioxidant. 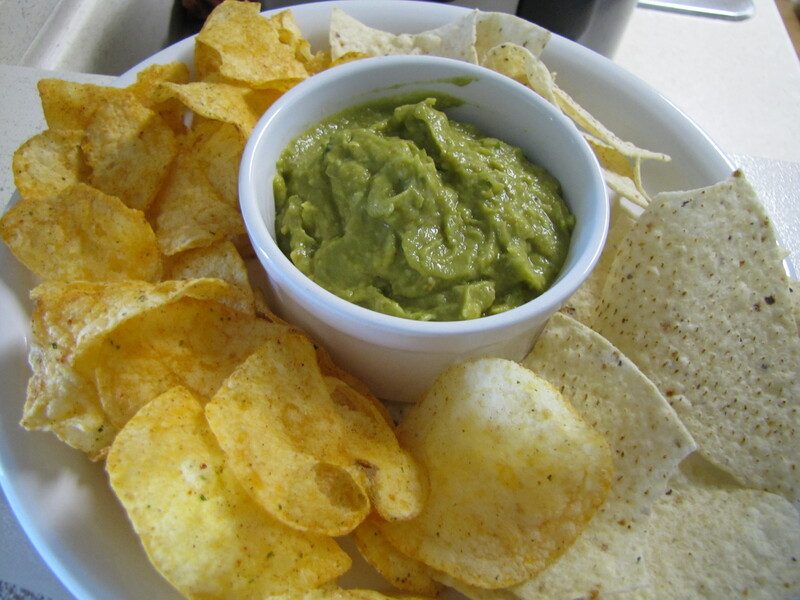 Prepared guacamole contains additional antioxidants and vitamin C from tomatoes. Avocados are indeed high in fat, but they're high in monounsaturated fat, the good fat, the kind of fat that may actually help lower blood cholesterol levels. Avocados contain no cholesterol .. I browsed to get these info as i wanna make everyone clear about the concept..
Hass Avocado -- 1 no. Juice of lemon -- 1 no. Select a good ripe avocado which should yield to pressure(gently) and don't have valleys. Scoop out the flesh and mash it with little bit of lime juice.Consistency should be exactly gooey to make guacamole. Now mix it in all the ingredients given in the table (do not add all of the lime juice ,it's truely depends on one's tangy or tart level). Mash everything well together and let them sit for atleast an hour so that the flavors will marry, get acquainted.. Serve it with tositos or any chips u've in ur pantry..
Trust me.. it's really good.